If you’re a regular reader of this blog, you’ll know how much I love Bettys Tea Room in York. I’ve been for the same afternoon there for my last three birthdays, so you could argue I’m a bit obsessed. 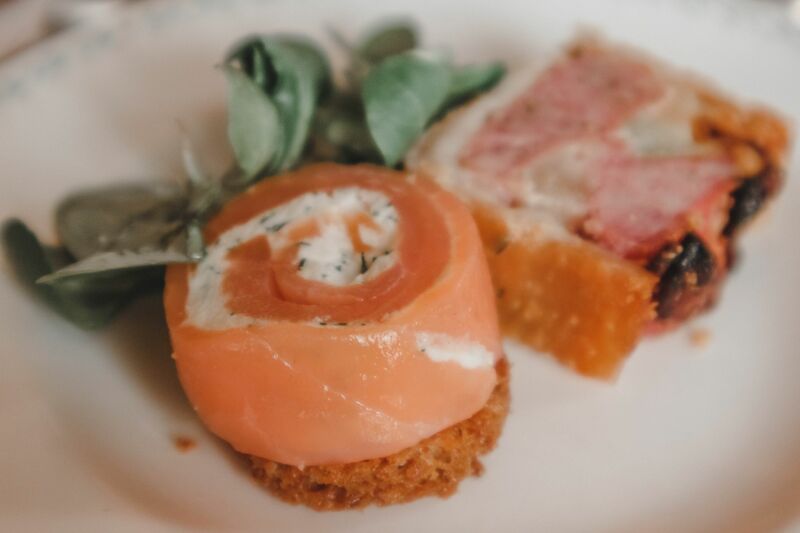 I know I’ve written about the Lady Betty Afternoon Tea before, but it felt like time to share a few new photos, and to talk about a little bit about the slightly modified menu. My parents, who were there with me, opted for coffees. There’s a special coffee menu that you have to ask for if you’re after a caffeine fix. 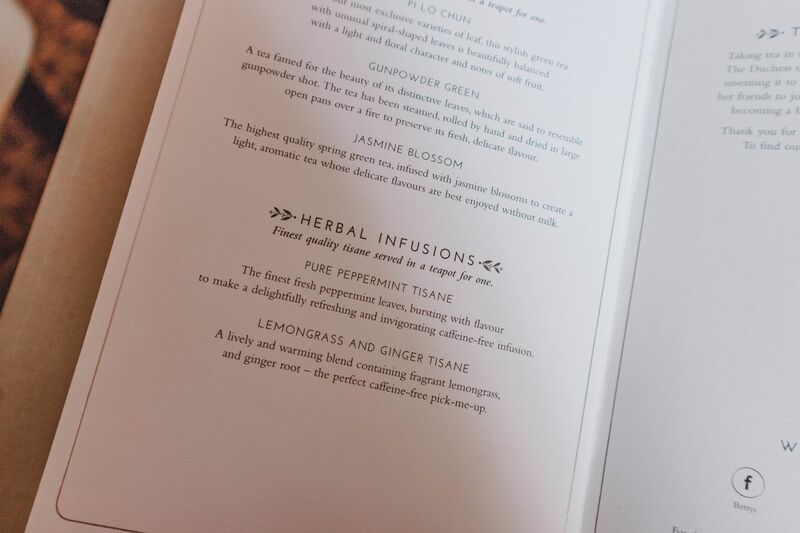 Bettys have tons of different teas for all appetites too. They used to be served in glass teapots (which I loved) but they’ve now been replaced with metal ones, which you’ll see below! After you’ve selected your drinks, the appetiser’s brought out to the table: It’s a pea, cucumber and tomato cocktail. 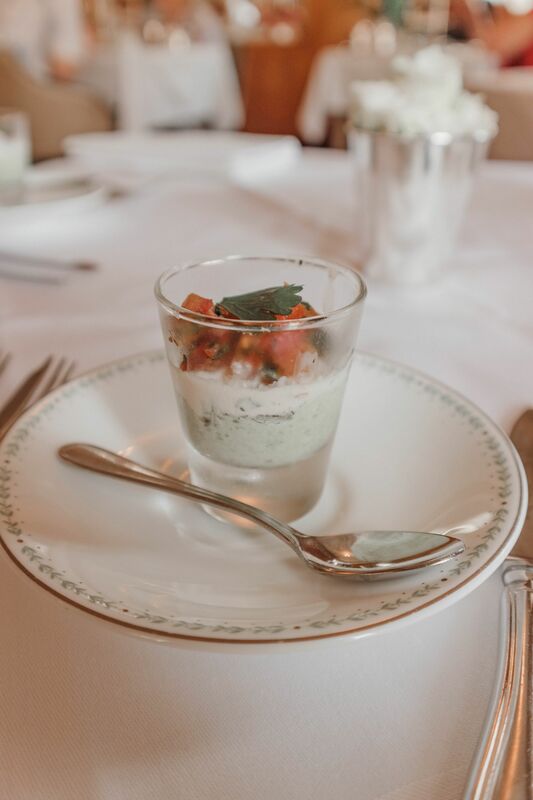 Basically, it’s diced tomato, red onion, cucumber and mint, served on a pea purée base and dressed with crème fraîche. The dish never seems to last long with any of us. It’s so tasty that we’re all guilty of devouring it in record time. 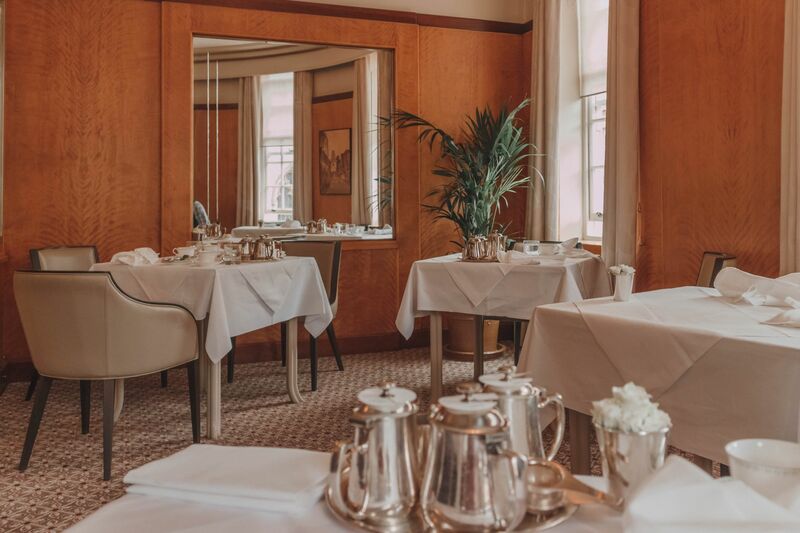 They’re the same starters that we’ve had all three times that we’ve visited Bettys, and they’ve never disappointed. SO delicious! The sandwiches are slightly different to our first visit. 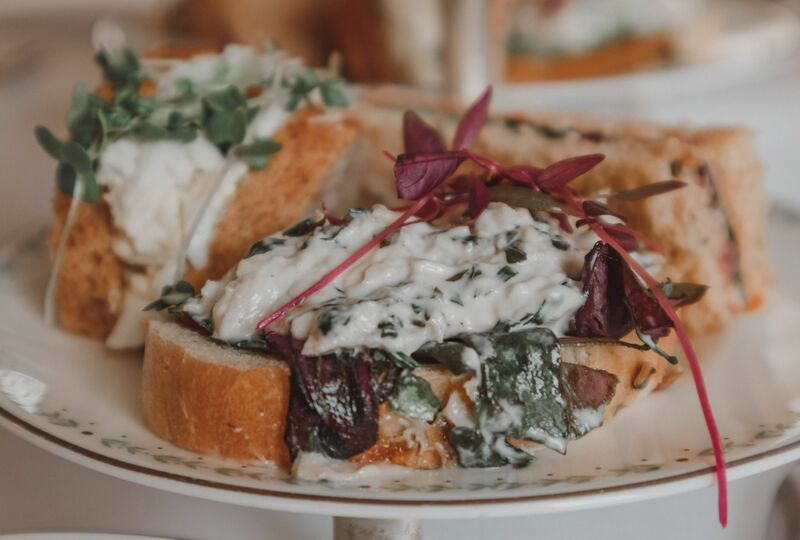 This time we had: Roast Yorkshire ham and tomato pâté on sun-blushed tomato bread, chicken and tarragon with mayonaise, and egg mayonnaise on wholemeal bread. All of which are very lovely. After this, you get to sample your two scones: one is lemon and the other is rose flavoured. I’m not normally one for scones, but Bettys scones are so tasty that I make an exception. [/left] [right] The cakes are: a chocolate and passionfruit cube, a gooseberry macaroon, a pistachio and chocolate dacquoise slice, a fresh berry meringue, a miniature Battenberg, and a lemon religieuse. Again, they’re a slightly different selection to our first visit to Bettys, but all the cakes I’ve had there are delicious. Do you remember that really long heatwave we had? (Seems like a very distant memory now, doesn’t it?) Well, because it was so hot on the day we went to Bettys, it made some of the cakes melt while they were sat on the plate waiting for us. Especially the chocolate ones which had to be devoured by the ‘rents pretty sharpish. I opted for the gooseberry macaroon, which I get my hands on every year. Hands down. (You’ve really got to fight me for your macaroons.) And, that was the only cake I ate whilst there, sadly. By this point, I was so full that I couldn’t manage anything else. Don’t worry, my Dad came to the rescue again. The Pièce de Résistance: A Birthday Cake! The Price – Is It Worth The Money? It’s worth noting that while the Lady Betty Afternoon Tea is quite expensive, it is really special. 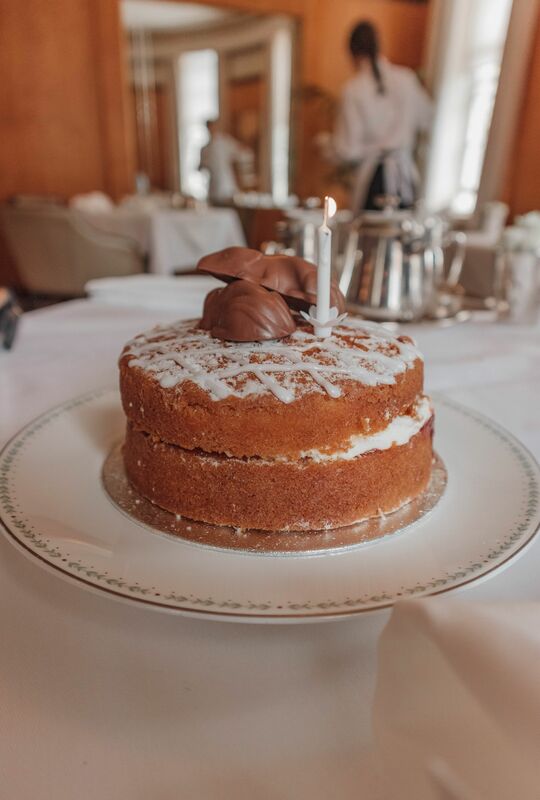 The Luxury Lady Betty Afternoon Tea is £32.95 per person, or you can opt for the slightly more expensive champagne afternoon tea for an extra seven pounds. 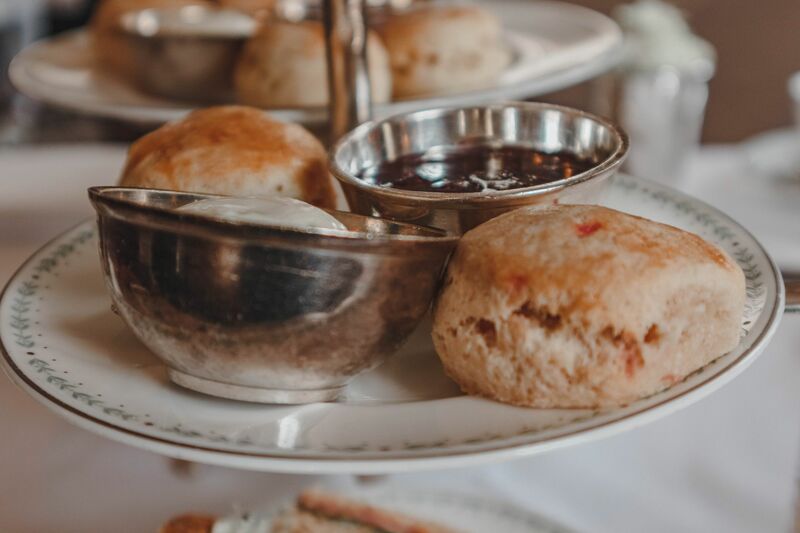 If it is out of your price range, there is a cheaper alternative: The Traditional Afternoon Tea. I can’t really compare the two, as I’ve only ever tried the Lady Betty Afternoon Tea. 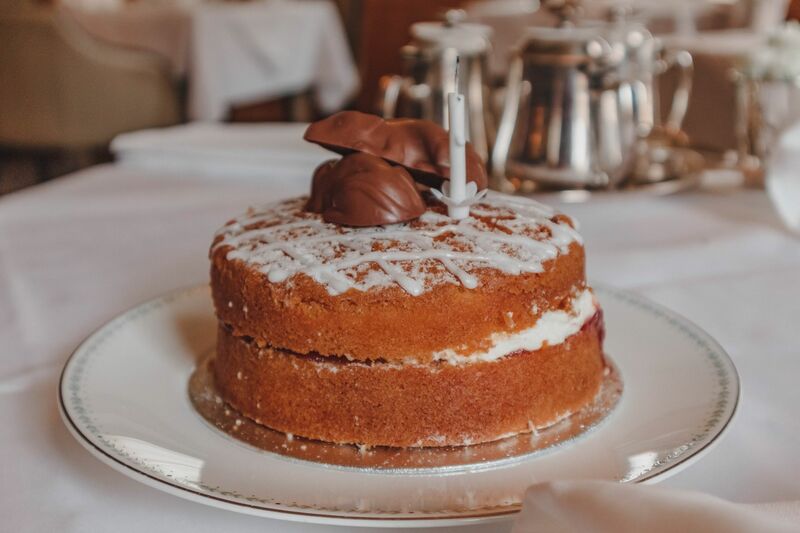 I do feel that if you’re there for a special occasion, such as a birthday or anniversary, it’s totally worth splashing out if you can afford to. You’re not just paying for the food, but for the experience of dining there too. It makes for such a special afternoon; an unforgettable (and filling) day out in a beautiful city. Have you ever been to Bettys? 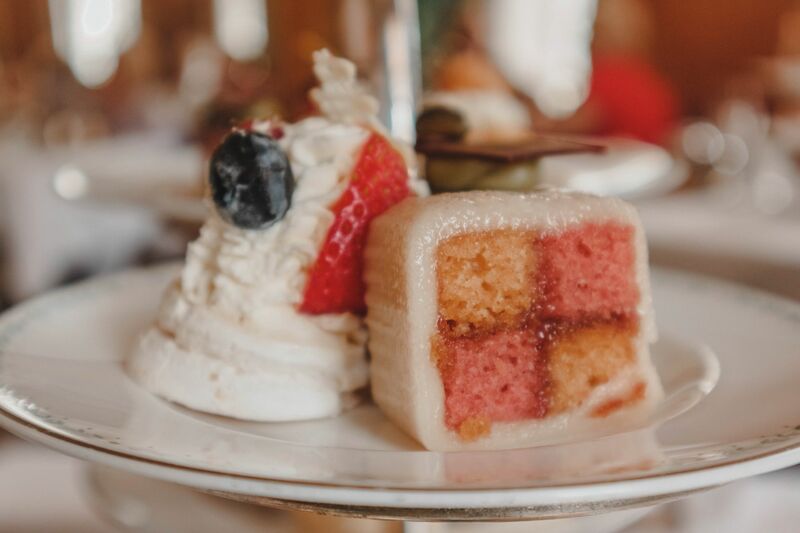 If you’d like to find out more about the Lady Betty Afternoon Tea, you can go to Bettys website here! Enjoyed this post? 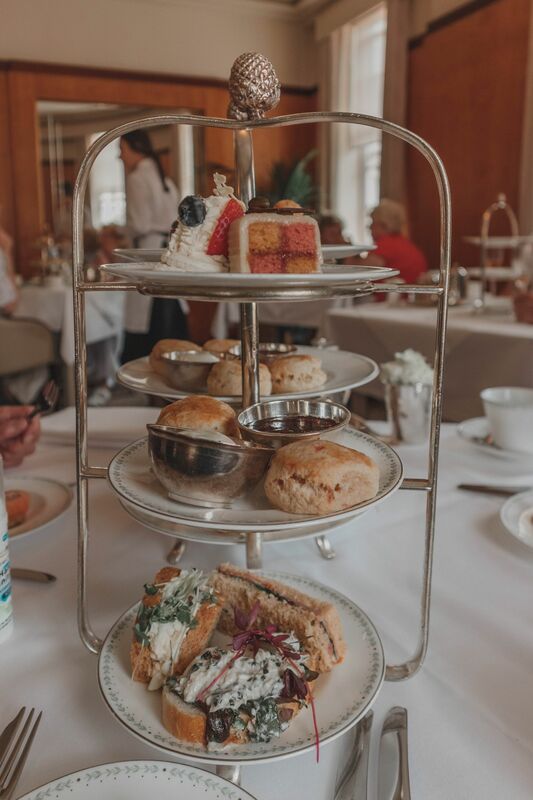 You might also like: Lady Betty Afternoon Tea at Bettys (from 2016), An Afternoon in York, or even Joe’s Kitchen, Derby.